Chevening Scholarships are the UK government's international scholarship programme since 1983, fully funded by the Foreign and Commonwealth Office (FCO) and partner organisations. The programme offers awards to outstanding scholars with leadership potential from around the world to study for a masters degree in any subject at any UK universities. 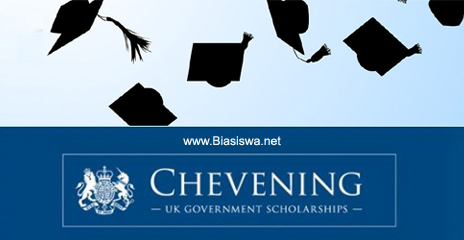 Applications for Chevening Awards can only be submitted using the Chevening online application system, available through the 'apply' button on your country's page. Applications close on 12:00 GMT, 6 November 2018.